Global TAC Warehouse was founded in 2001, established in Brooklyn, New York. 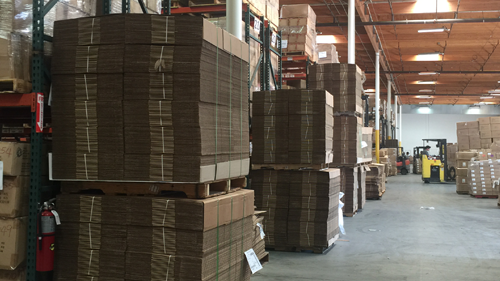 Over the years, we decided to relocate our facilities to Los Angeles, California, to better fit our customers’ needs. We have over 17 years of logistics and distribution industry experience with a stable and increasing customer base. We handle a diverse range of products. Since we were founded, we have accumulated knowledge and experience in shipping to major department/chain stores, including Macy's, Burlington, Stein Mart, Sears/K-Mart, JCPenney, Walmart, Bonton, Nordstrom, Costco, TJ Maxx, Belk, Kohl’s, and other major specialty stores, retailers & e-commerce/web orders according to customers' requirements. Currently Global TAC Warehouse operates a Warehousing facility of over 130,000 SQ FT, 18 loading docks and Storage Space for more than 7,000 pallets plus 10,000 GOH.